Quantum Materials Corp, a U.S. based quantum dot manufacturer, has announced its achievement of exceeding 7,000 hour continuous on-time durability test for the company's cadmium-free quantum dots in a remote LED. The quantum dot LEDs used for the test were under continuous power at 2.5 Volts DC at 70mA and were measured initially, incrementally and at the 7000 hour mark with no measurable degradation of intensity, peak emission or FWHM, which is the measure for color purity. 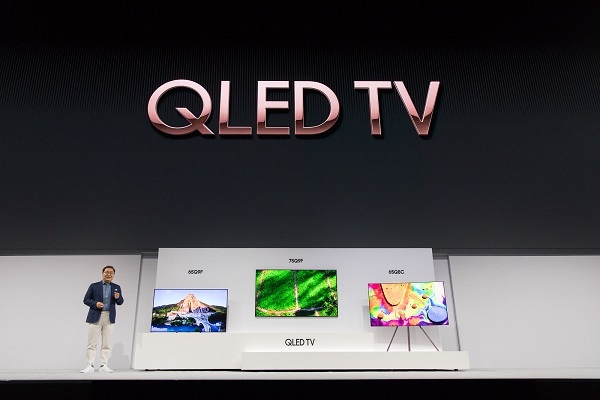 With its unique characteristics for lighting, the implementation of quantum dots with LEDs has enhanced the efficiency and performance of LED display and lighting. When combined with LED or Micro LED, the pure and tunable spectra of quantum dots could achieve excellent color rendering and high luminous efficiency simultaneously. Stephen Squires, President and CEO of Quantum Materials Corp, said, "Passing the One year (7000 hour) mark for continuous on time is a major achievement in proving our quantum dots and our encapsulation technologies can enable QD-LED's and the wide range of potential QD-LED applications. Through this development effort we have also made significant discoveries that have improved performance of our electroluminescent quantum dot materials, paving the way for next generation display and lighting applications. Our team continues to demonstrate the extraordinary accelerated discovery that can be accomplished using our patented continuous flow process. These patented technologies in the hands of our brilliant scientist keep Quantum Materials on the forefront of nanomaterial implementation and discovery."